The bug tracker is still private. Great work though! Jimbo – can you clarify what you mean? I guess he’s talking about the post-process effect. All edges are emphasized with a black border, which makes it look cartoony. It makes for a better readability, especially when objects of similar color overlap from the pov. I can’t get it to work with FXCanvas (SWT-JavaFX integration). 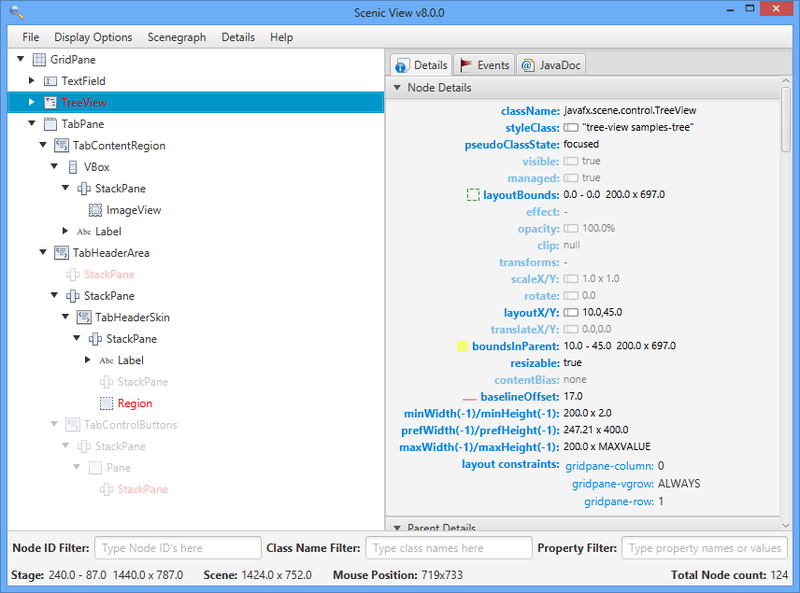 The ScenicView can pop up and show the tree of nodes, but all details are missing and in console it prints “No JavaFX window found” every second. Is there source code published somewhere so I can fix the issue myself? Hello – For some reason when I run scenic view as an executable jar, it no longer finds the app I am running from eclipse fx. Is there a way to reset it? The only thing I did was change my JDK from 64 bit to 32 bit to build an exe for testing on a client machine, which I then set back… It’ s just odd? I have had no luck getting Scenic View to discover my running app. 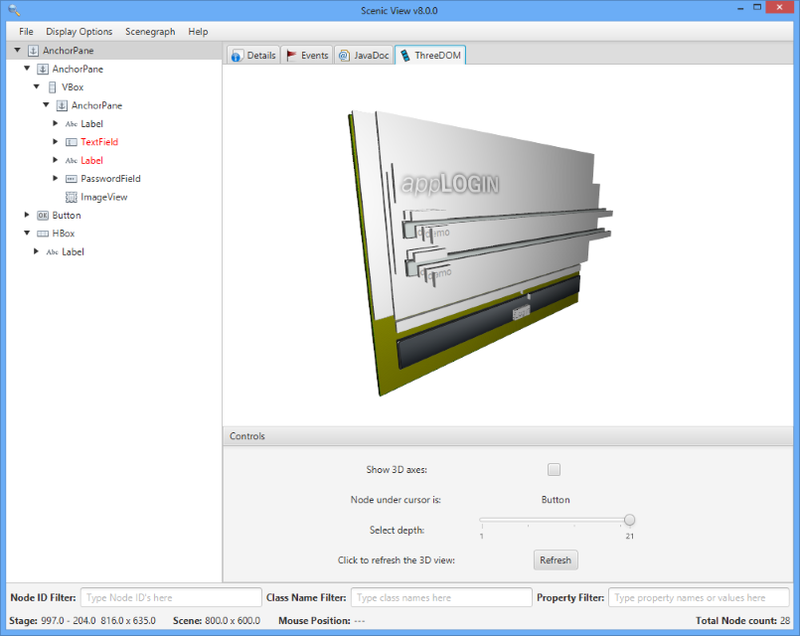 I am using Eclipse FX – Luna. So from what I can tell it’s all lined up OK. Same issue as Natsu; it continuously shows “Scanning for JavaFX applications” but can’t find my app, running in a 64-bit Java 8 JVM. So it appears to have discovered my app and connected. Yet it still shows the “Scanning for JavaFX applications” animation. Neither double-clicking the jar, nor running with java -jar works. it always shows “Scanning for JavaFX applications” nothing else.